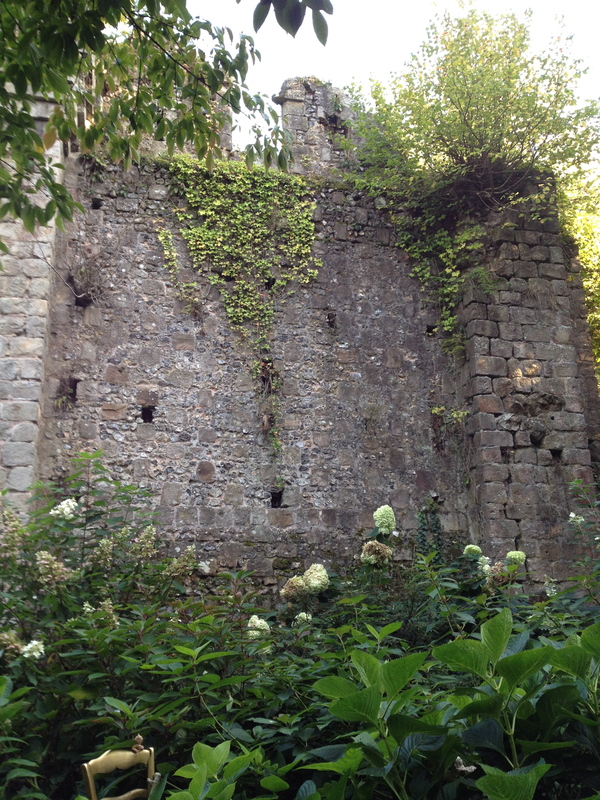 I had read about the chateau and gardens at Clères in passing. It is mentioned for its interesting collection birds in guidebooks, and recommended as a good day out for families staying near Rouen. The Michelin Guide Normandy gives it several stars, but doesn’t explain why. 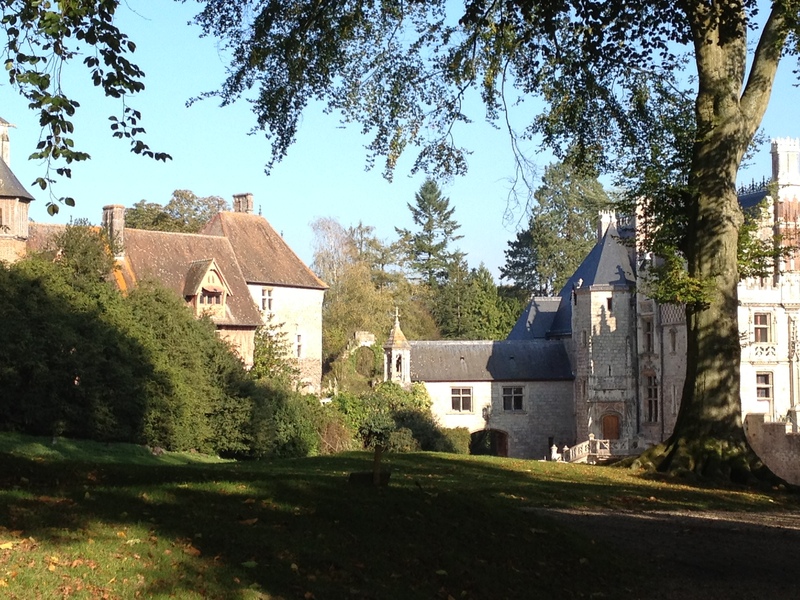 I was intrigued, and when we found ourselves wondering what to do on a cold, bright autumn morning in Normandy, we packed everyone into the car and headed towards Clères. 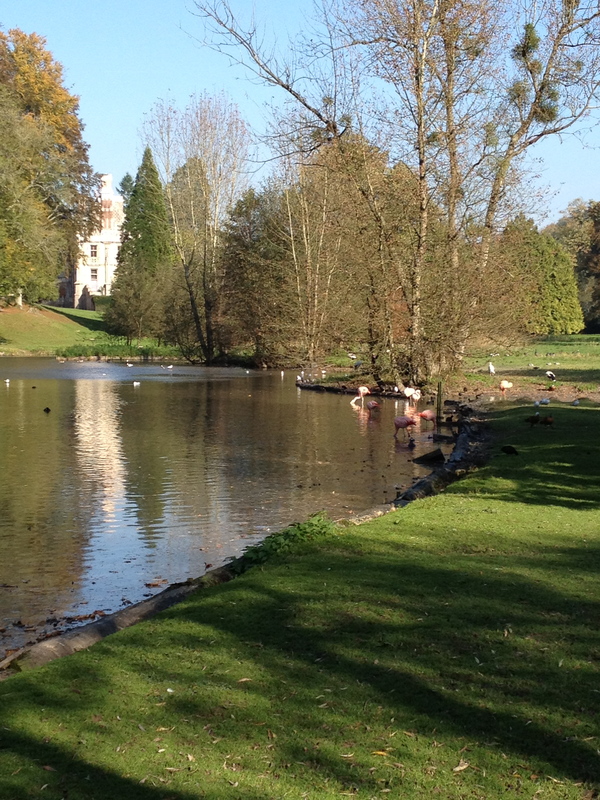 Nothing prepared us for quite how lovely Le Parc de Clères would be. During the 1860s the park was landscaped by the Comte de Béarn dans le style des parcs à l’anglaise. In 1919 Clères was purchased by zoologist Jean Delacour, who hired English Arts & Crafts garden designer Henry Avray Tipping. Delacour was a great traveller and collector, and in time Clères became a home for his collection. And what a collection! Clères is famous for its birds but there are also mammals: peacocks, pelicans, cranes, ibis, gibbon, wallabies, antelopes and many more. Most live in the parkland in semi-freedom: there are few visible cages or barriers. 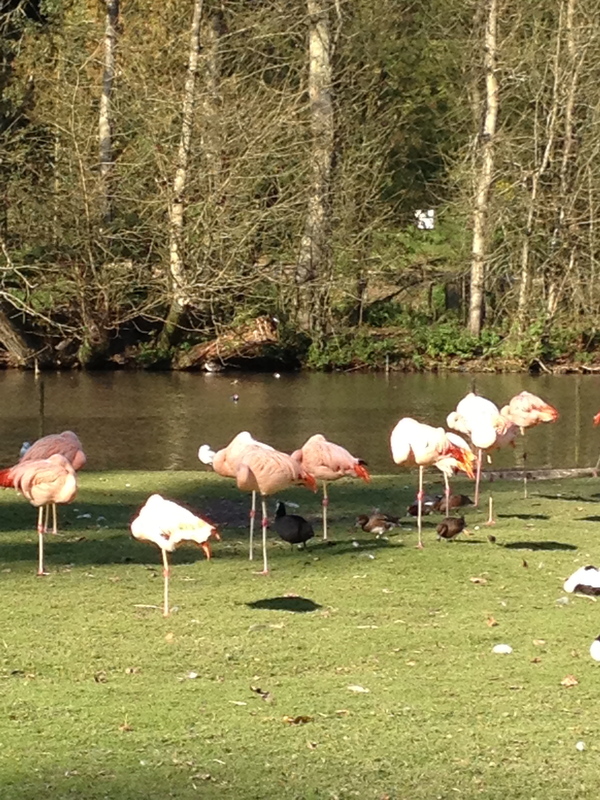 It took us about two hours to walk around the gardens, with many stops to climb trees, watch flamingos balancing on their spindly legs and pelicans dipping their droopy beaks. 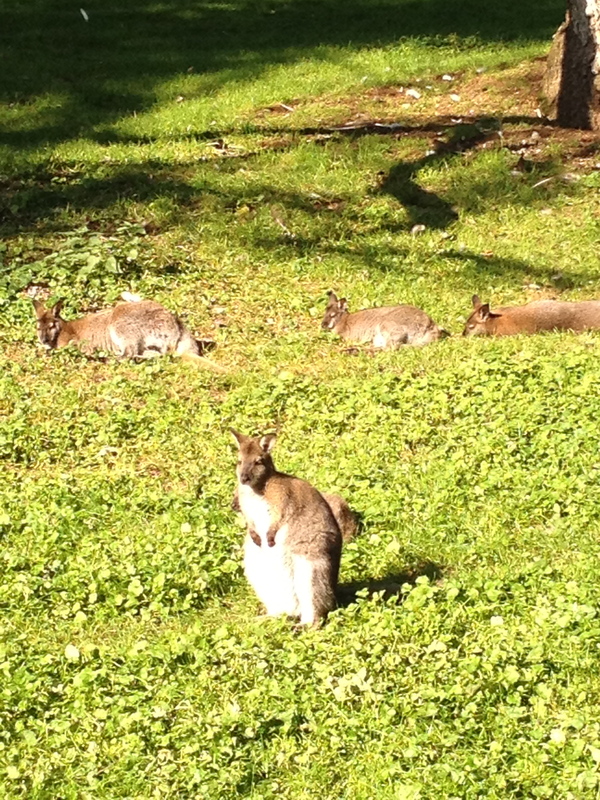 We loved the juxtaposition of the historic chateau with these southern hemisphere mammals, lazing in the watery autumn sunshine. 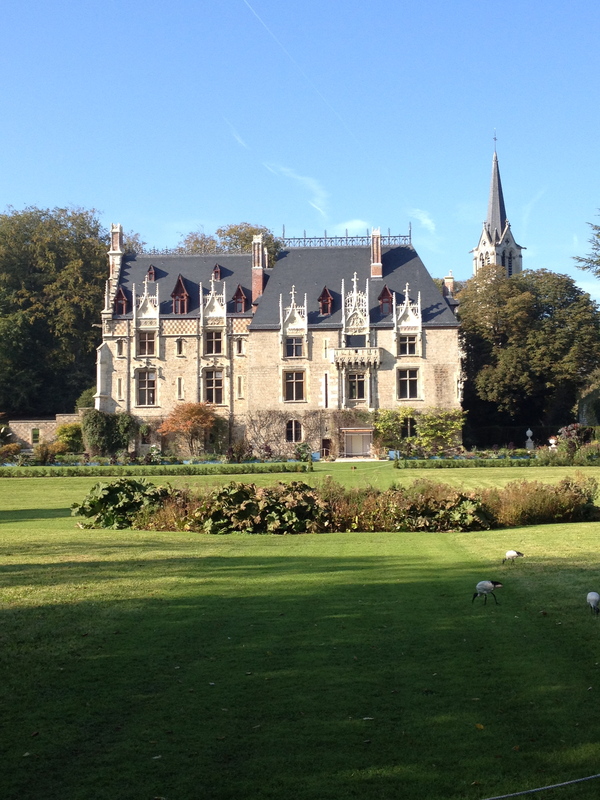 The chateau, which was not accessible for visiting on the day we were there, is interesting too. 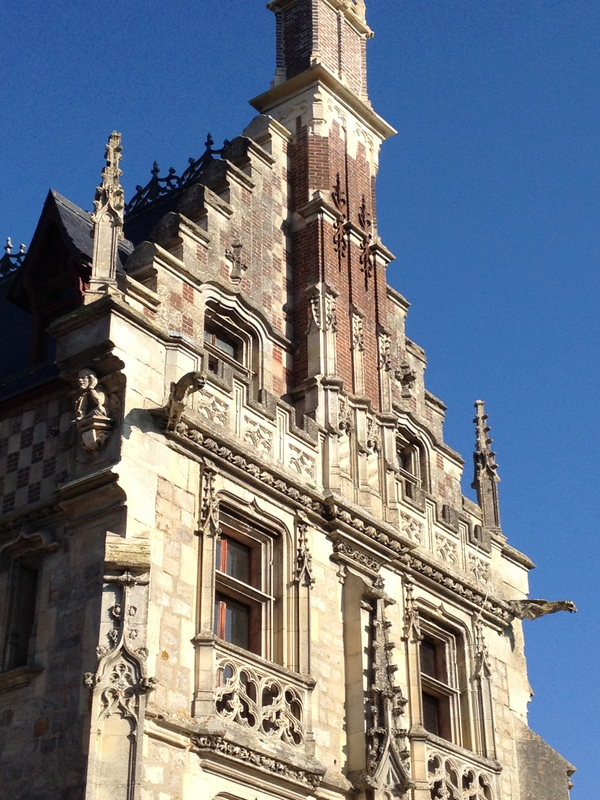 There are buildings from many different periods, including medieval fortifications, a 16th century manor, and later additions. 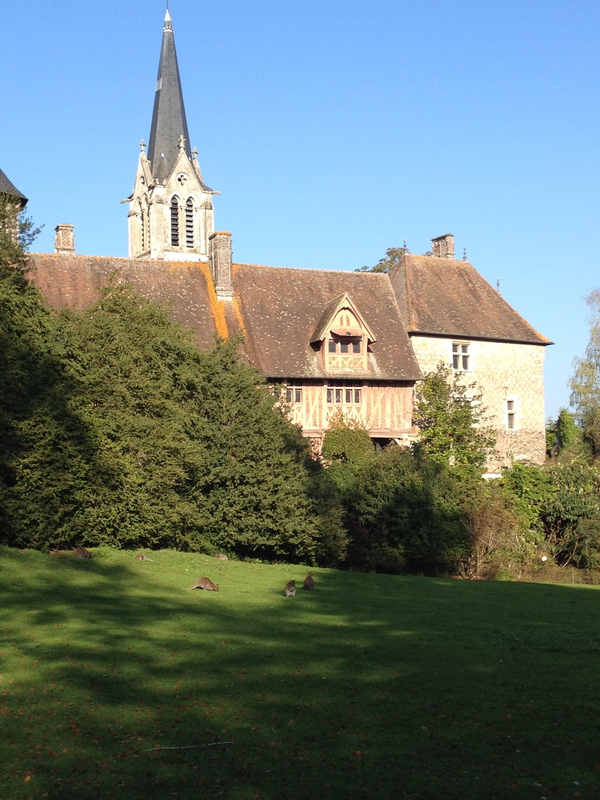 The town of Clères is charming and a short walk from the Park’s gate. There are several tea rooms and bars, perfect for a refreshment before the drive home. All in all an excellent, and inexpensive day out for our young family. Our reduced price tickets were 4 EUR each – a bargain compared to urban zoos in the UK which can cost over GBP 15 per person. wow!! 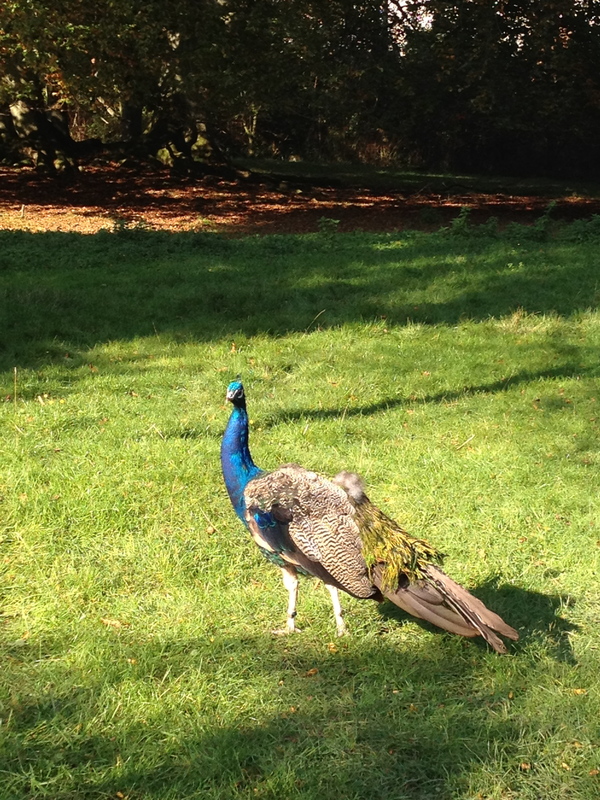 the peacocks are amazing, how funny to see all those gorgeous little creatures and animals running around the park, trop beau!